James Harden feels the Houston Rockets have finally hit their stride and have done so at an opportune moment. The Rockets secured their fifth straight win and ninth in their past 12 by overcoming the Boston Celtics 115-104 at TD Garden on Sunday, with Harden dropping 42 points. Center Clint Capela is working his way back to full fitness after a thumb injury and Chris Paul has put together a strong run of minutes after a hamstring issue that caused him to miss 17 games. 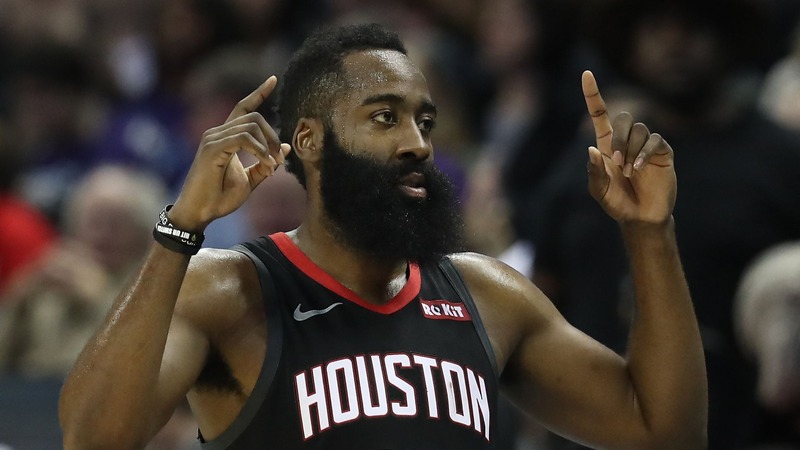 Reigning MVP Harden now feels things are coming together for Houston, who sit fifth in the Western Conference at 38-25, six games back from the Golden State Warriors at the top of the standings. "It feels really, really good to kind of have a full roster and catch a rhythm, and this is a perfect time for it," said Harden. "We're still in fifth place with an opportunity to climb even higher. That's all you can ask for. A lot of teams in that top spot in both conferences haven't really had to go through adversity, so it feels good. "We haven't had an opportunity to push, push, push. This is a perfect time to push, push, push and catch a groove going into the postseason. "Throughout the course of the year, we've been having a lot of injuries, a lot of ups and downs, but we're finally catching a rhythm on both ends of the floor, and it feels great. "We're finally healthy, and it feels good. We're winning, guys know their roles, we're executing defensively, we're helping each other out, we're talking - that's what it's all about."